The last time I painted anything using a stencil was in grade school. It was a cookie jar lid that I begged my mom to send to Kirk Cameron (Oh, those Growing Pains!). 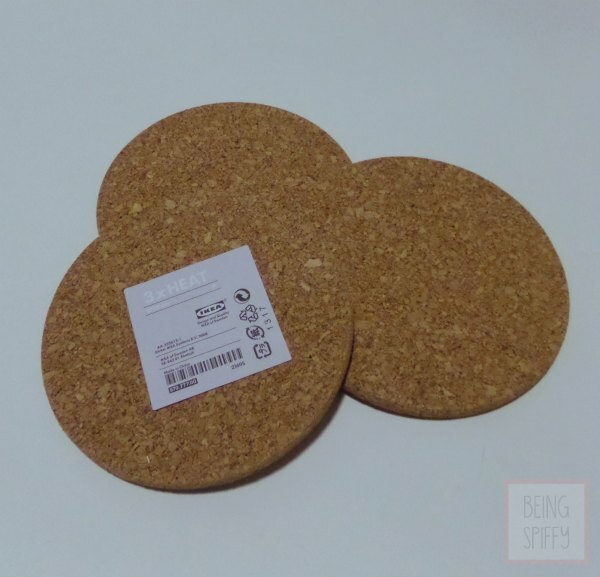 Luckily I had the chance to redeem myself using FolkArt Multi-Surface Paint and Handmade Charlotte stencils to create this stenciled cork art. 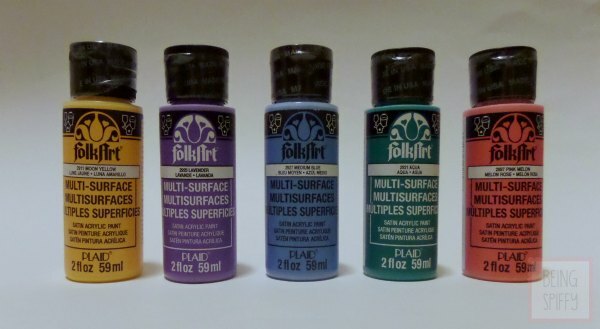 Here are just some of the 40 colors FolkArt offers in their mulit-surface paint. I knew I wanted more of the paint to show than the cork, so instead of using the stencil how it was intended, I used the part that popped out and painted around it. It was so easy, I broke it down into five steps. I repeated the process on another trivet using a rubber spatula stencil. I decided to go a little "stencil crazy" on the third trivet and used two stencils two ways to get the desired effect. I had a 10-inch, glazed ceramic plate that I wanted to put to use. I used the Lavender again, allowing each coat to dry, until the plate was covered. Then I added FolkArt Clear Chalkboard Paint. 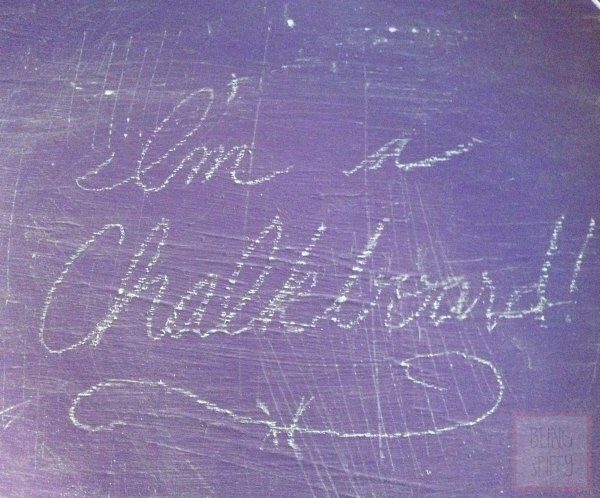 I love that I can apply it to any surface, so whatever the color undernieth is, the chalkboard stays that color! Here's the finished plate. If you'd like to make this project or create your own, Plaid Crafts is giving away a $100 Michael's gift card and $100 worth of FolkArt Multi-Surface Satin Acrylic Paint! Go HERE to enter. 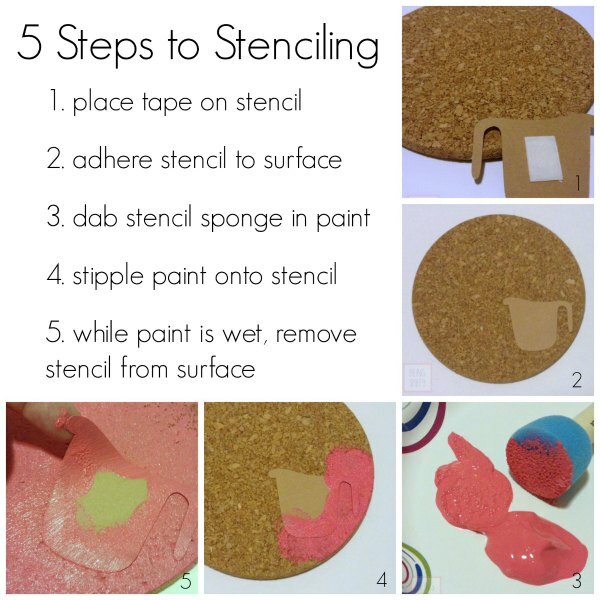 …and check out what other bloggers are making with FolkArt Multi-Surface Paint! This is a sponsored post written by me on behalf of Plaid. I received product to create this project, but the ideas and opinions shared here are all my own.